MyFax is a simple, easy-to-use online faxing service that allows you to send and receive faxes from the web or via email using your PC, tablet or smartphone. It offers reasonably priced plans for individuals and businesses with varying faxing needs. The service is owned by J2 Global, just like its competitors eFax, Fax.com, Send2Fax, and MetroFax. In this MyFax review, we explore all the crucial aspects of this service, discover what its users have to say about it, and determine whether MyFax is a better option than its alternatives. 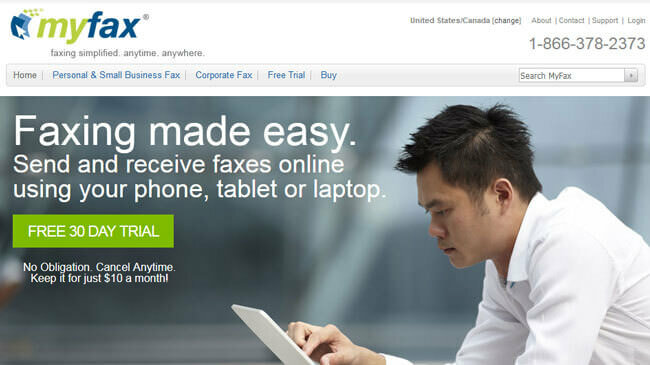 MyFax is a subscription-based service that makes it utterly easy to send and receive faxes online. You can handle your incoming and outgoing faxes via email or the company’s secure website, directly from your MyFaxCentral account. No matter which option you choose, the whole process is completed in just a couple of clicks. Depending on your faxing needs, you can choose from 3 plans with a different number of inbound and outbound fax pages included. This does not mean that the number of pages you can send and receive is limited, it just means that once you exceed the number of pages included in your plan, every page after that comes with an additional charge. The service offers local, toll-free, and international fax numbers. The fax number is included in the price of the plans. There are no setup fees. 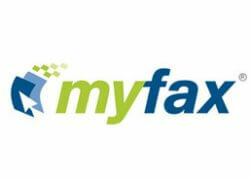 As a MyFax subscriber, you do not enter any kind of contract and the use of the service is commitment-free. You can cancel at the end of each billing cycle, just make sure you state your decision ahead of time. As soon as you sign up for MyFax and choose the plan that best suits your needs, you get to choose your fax number. We mentioned in the previous section of this MyFax review that you can choose a local or toll-free number or opt for an international number. Toll-free numbers are only available for the US and Canada. The service offers international numbers in 48 world countries and counting. If you already have a fax number, you can call-forward it to your MyFax account. In some cases, it is also possible to port your existing number to MyFax. If you want to port your number, you need to get in touch with the support staff. Once you have your fax number, you can start sending and receiving faxes. With the email option, you simply open a new email, enter the recipient’s fax number followed by @myfax.com in the address field, attach the document you want to fax, and click send. Your incoming faxes arrive in your email inbox, so you can view them just like any other email. If you want to manage your faxes via MyFaxCentral, the service’s private and SSL-secured website, the process is just as simple. While the interface is nothing to brag about, it features a familiar webmail design and has all the key features in one place. You can view your received faxes in your inbox, compose new fax message and forward, print, download or delete your fax in a single click. You can send up to 8 documents in a single fax. The default file format is PDF, but MyFax supports as many as 178 different formats, including TIFF and Microsoft Word and Excel. It is important to note that you do not need to install any faxing software. All you need is an Internet connection, a desktop or laptop computer or a mobile device, an email account, and a MyFax account. To help you better understand what MyFax can do for you, in this section, we list all the most prominent features you gain access to as a MyFax subscriber. We have mentioned previously that you get a local, toll-free or international fax number as soon as you sign up and that you can send and receive faxes via email or MyFaxCentral website. If you want to manage your faxes on the go, you can opt for a mobile app, with apps available for both Android and iOS. Making it easier to manage your fax contacts, MyFax allows you to import and export your contact lists from your MyFaxCentral account. 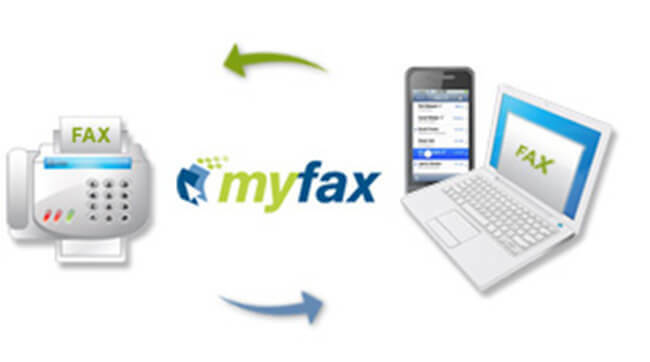 All of your faxes are securely stored and you can access them at any time, for as long as you have a MyFax account. You can fax from as many as 5 email addresses with a single account and send a fax to up to 50 different recipients. Delivery confirmations are sent to you via email, so you do not have to wonder whether your fax has reached the recipient. In case a fax fails, the service automatically reattempts to send it. You can get real-time fax reports from your MyFaxCentral account, free of charge. If you have any troubles, MyFax support staff promises to be available to help 24/7. With MyFax, you can choose from 3 different monthly subscription plans. The most affordable plan costs only $10 per month and allows you to send 100 pages and receive 200 pages per month. If you want to save some cash, with this plan, you can opt for the annual subscription and pay $9.17 per month. The medium plan costs $20 per month and increases the number of pages you can send to 200 while the number of incoming pages stays the same as with the previous plan – 200 pages per month. 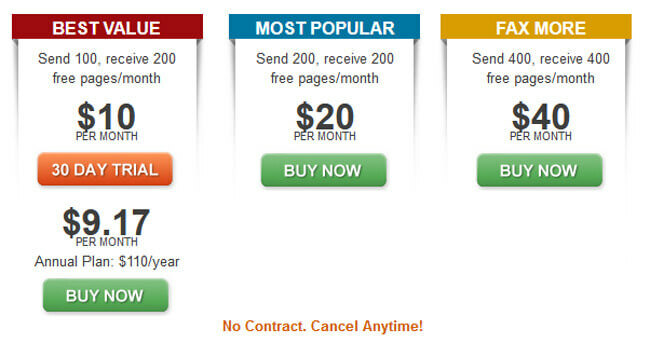 Finally, you can pay $40 per month and get to send 400 pages and receive 400 fax pages during the month. Once you exceed the number of pages included in the plans, each subsequent page costs $0.10. If you want to test the service, you can make use of the 30-day free trial. While exploring user reviews for the purpose of this MyFax review, we discovered that users have wildly different experiences with this service. While many of them describe it as an affordable and easy-to-use service that does everything it is supposed to do, we did encounter a number of complaints about its customer support. Negative reviews were mostly related to cancellations and the support staff’s lack of professionalism. Some users claim that they had troubles canceling their free trial while others say that the staff gave them a hard time when they tried to cancel their account after months of use. What is important to know is that you need to provide credit card details when signing up for the free trial and if you do not attempt to cancel it ahead of time, you may get charged. Furthermore, all the fees are completely non-refundable, as stated in MyFax’s Terms & Conditions. If you have some basic questions about the service, you can find the answers quickly in the FAQ section of the website. The service also provides a handy tutorial that can help you understand how to send and receive faxes via email. For further assistance, you can get in touch with the support staff via email, chat or phone. While the representatives we spoke to provided rather precise answers and took the time to tell us everything we wanted to know, some users have had different and somewhat unpleasant experiences. Therefore, we can conclude that MyFax could invest greater efforts into making sure that all of its representatives are knowledgeable and friendly in order to improve user satisfaction. 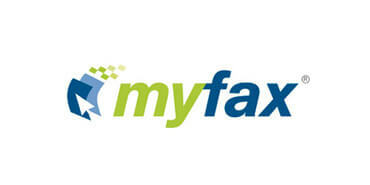 If you are looking for a quick and easy way to send and receive your faxes online, MyFax is definitely a good choice. While it may seem too simple at first, it does pack a number of useful features, including delivery confirmations, automatic resend feature, and multiple attachments. Its subscription packages are suitable for both individuals and large and small companies and the prices are rather fair. Customer support does need improvement and the digital signature feature would be a welcome addition. However, with all aspects of the service considered, we can conclude that MyFax is a reliable and efficient online faxing service that makes it much easier to handle your business communication. Our ratings are the result of an objective and independent evaluation of MyFax, generating the final rating that reflects the overall quality of the company. Ratings may change as the service changes. MyFax user rating based on 3 user reviews. Sending faxes is simple and quick and the $10 plan is enough for most small businesses. Sometimes it takes a while to send a fax, but the resend feature is a good solution. The prices are OK. I like that the service is easy to use and it is pretty cheap too. What I don’t like is the fact that the guys answering the phone hate their jobs and they are straight up rude at times. It’s not my fault you have a crappy job, you don’t have to be a jerk. We found 0 verified MyFax promo codes for April, 2019. There’s no MyFax coupons or discounts right now. If you like MyFax but aren’t sure whether they are truly the ideal choice for you, you may want to take a look at our comparisons below to discover if one of their competitors is more suitable for you.